My Nike + Summary shows 127 miles for the month. There was still no cycling this month but I got 2 miles done in the pool. I did, however, go to my local bike store (Guy’s Bicycles) to meet with the owner regarding a new road bike for my upcoming half iron distance triathlon this summer. I had briefly spoken to him during the annual Bucks County Triathlon Club get together at the start of the month and subsequently set up an appointment with him. I think I’ve chosen the best bike based upon his recommendations and what I can afford and will be waiting for the weather to get warmer to go out for a full test ride. The bike has been built and we are just waiting on the weather. Very exciting. As per last month, month of the training was done indoors on the treadmill. I’ve certainly got more use out of my home treadmill this month than I have since we got it last May. I just have to get up extra early now so I can coordinate with my wife who typically uses it mostly during weekdays before work while I run outside. I’ll be happy to be outside again so I get to sleep in a little longer and we can both start at the same time. During the month I finally ran in my first Bucks County Road Runners ‘Winter Series’ race. I have been a member of the running club since 2011 and never had the chance to run in a Winter Series event. My wife has done a few of these but I was always training for a Disney race and the distances and timing/logistics with family never worked out. Our friend is the Race Director this season and our boys happened to have a sleep over that weekend so both my wife and I were able to run together in the ‘Eenie-Meanie-Minie-Moe’ Half Marathon in Tyler State Park. I have run many miles in that park and the course still took me somewhere I had never been. Somewhere new to include in the course rotations going forward. It was fun. They had a great number of runners and people could choose a series of different distances (based upon the number of loops run). We did the half marathon distance which was the most available on the day. It fit nicely into our New Jersey Marathon training. There was a great post race gathering which apparently happens every week during these races. There is a fire pit, coffee and hot chocolate and all the food you can think off. I took my share of the oatmeal raisin cookies and the (really good) hot chocolate with me as we had to head out to pick up the boys. Also this month we entered the lottery for the TCS New York City Marathon. It is the 40th anniversary race this year and sure to be something special in addition to being one of the world majors and a bucket list race. My wife and I both tried for the lottery in 2014 and didn’t get in. This year we both entered again and committed that whoever gets in will run regardless of whether the other doesn’t (spoiler alert – the drawing took place on Tuesday March 8th. My wife got in, I didn’t). At the end of the month I launched my fundraising page for Autism Speaks. 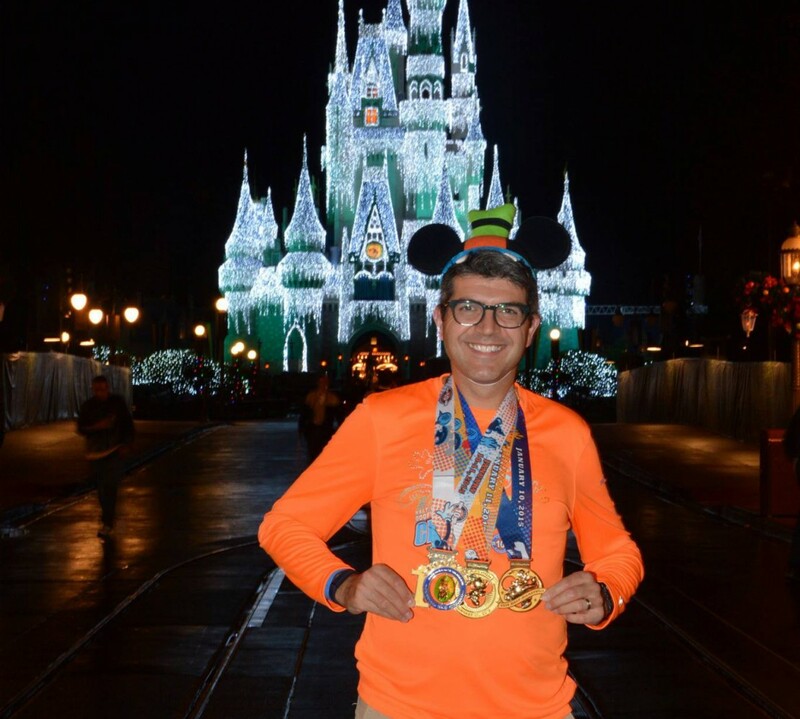 I’ve run for Autism Speaks for the last few years at the Walt Disney World Marathon Weekend. This year I will be raising funds for them through participating in the HITS Hudson Valley Triathlon this July (the name changed from the Kingston, NY to Hudson Valley, NY this month with a slight course change). I am hoping to raise at least $1,000 this year. You can reach my fundraising page here and read about my fundraising here. Thanks for reading. Looking forward to more outdoor than indoor running as we move headlong towards Spring.